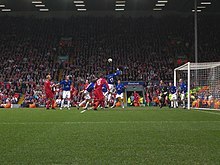 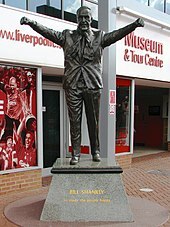 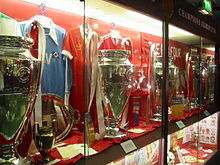 Because of its successful history, Liverpool is often featured when football is depicted in British culture and has appeared in a number of media firsts. 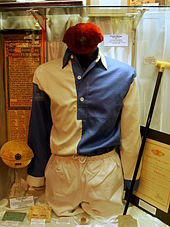 The club appeared in the first edition of the BBC's Match of the Day, which screened highlights of their match against Arsenal at Anfield on 22 August 1964. 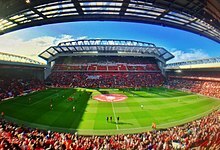 The first football match to be televised in colour was between Liverpool and West Ham United, broadcast live in March 1967. 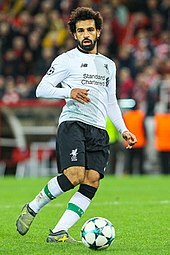 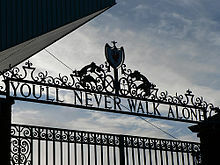 Liverpool fans featured in the Pink Floyd song "Fearless", in which they sang excerpts from "You'll Never Walk Alone". 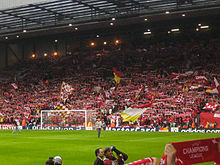 To mark the club's appearance in the 1988 FA Cup Final, Liverpool released a song known as the "Anfield Rap", featuring John Barnes and other members of the squad. 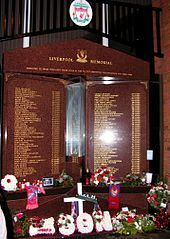 This page is based on the Wikipedia article Liverpool F.C. 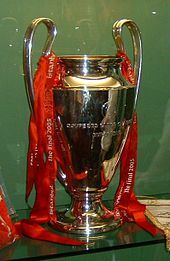 ; it is used under the Creative Commons Attribution-ShareAlike 3.0 Unported License (CC-BY-SA). 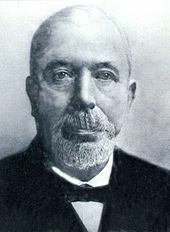 You may redistribute it, verbatim or modified, providing that you comply with the terms of the CC-BY-SA.